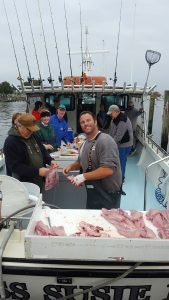 Hi, I am Captain Greg Buckner, one of the younger captains on the Chesapeake Bay. I have dedicated this part of my website to telling you a few things about myself. 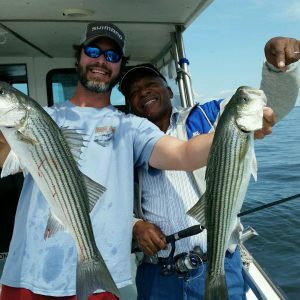 I was born and raised in St. Mary’s County, MD and have enjoyed fishing local waters most of my life. Just days before the 2004 Striped Bass trophy season (my fifth season on the Miss Susie) Capt. John had big news… He was moving to Syracuse, NY and was selling the Miss Susie and his charter business, and wanted to know if I would be interested in buying the boat and business. I of course, absolutely loving this line of work, said yes. On June 1, 2004 I became the proud owner of Miss Susie Charters. Since then things have gone very well with a rapidly growing customer base and a very busy schedule and great fishing. 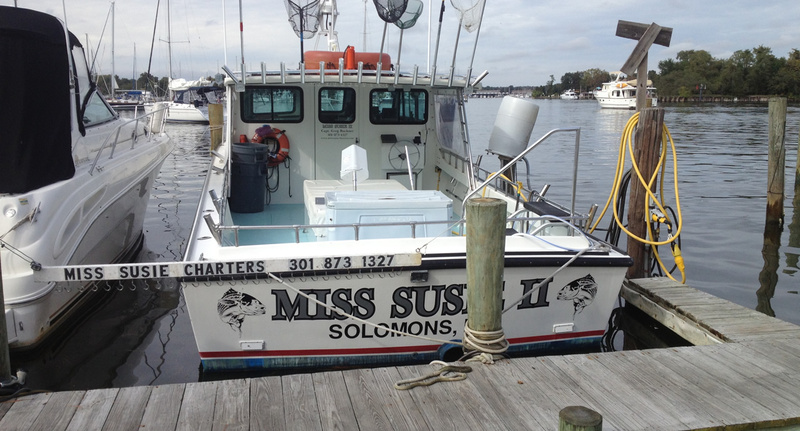 January 2018 Miss Susie III was added to the fleet. P.S. Yes, I am a young Captain (being born in 1980) but because of the many hours on the Bay over the past 17 years (an average of 300 plus trips per year) I do have a tremendous amount of experience and promise my clients will have the best possible chance of a successful day of fishing. Also, the guidance and help from so many talented Captains I worked for has put me where I am today. Each one of them has helped me in some way and I am overwhelmingly thankful for their help and guidance. They are: Capt. Greg Madjeski, Capt. Stan Harris, Capt. Charlie Nicholson, Capt. Gary Sacks, Capt. Jim Smith, Capt. Hank Conley, Capt. Sonny Forest, Capt. Wally Williams, Capt. Charlie Marenka, Capt. Danny Pritchett, Capt. Ronnie Scott, Capt. Tom Ireland, Capt. Lee Peters, and Capt. Jim Ekas. Tadd Soderberg has been working as a first mate for MISS SUSIE CHARTERS since 2008, he has seen it all the good, the bad, the ugly and the incredible. Tadd is a career D.C. Firefighter and will be on board Miss Susie II during the week whenever he can around his 24 hours on & 72 hours off schedule. Tadd was pretty quiet his first 3 or 4 years as first mate, and while he still puts his head down and works his tail off, he has become very engaging and is always there to pull Capt. Greg’s Chain to make everyone laugh. Prior to working with Miss Susie Charters, Tadd worked for Capt. 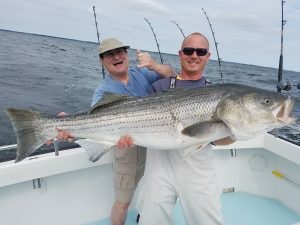 Greg Madjeski & Capt. Stan Harris. When things are happening and the lines need to get in the water fast, keep an eye on Tadd, he is the best! Steve Armsworthy and Capt. Greg Buckner went to school and played lacrosse together at St. Mary’s Ryken High. Steve was an excellent goalie and ended up with a full ride to Stonybrook University after 2 years playing Junior College lacrosse at Catonsville. Steve started in the charter fishing business as a first mate the same summer that Capt. Greg started as a mate, and from day 1 of owning MISS SUSIE CHARTERS, Steve has been there as a first mate in some capacity. Over the past several years, Steve works for his dad & uncle’s business A&M Glass during the week and is first mate aboard Miss Susie II every weekend. Steve is all personality, he will make you laugh and often at his own expense. He can talk to anyone about anything, and still gives it all he has to make sure everyone on board has an excellent time. He has lots of stories to tell and they are all true.